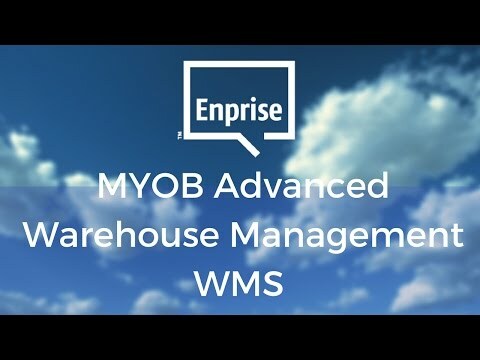 FusionWMS is the warehouse efficiency pocket rocket add-on for MYOB Advanced. FusionWMS delivers advanced warehouse management capabilities, allowing distribution companies to unlock hidden productivity. Want to turbo-charge your warehouse management? Let us show you how FusionWMS integrates with MYOB Advanced today. No duplication or synchronisation is ever needed because all of your warehouse data and transactions integrate directly with MYOB Advanced in real time. Right out of the box, FusionWMS improves profitability by reducing errors and speeding up all operations, from POs and physical counts to shipping and receiving. Best It’s all automatically posted right into your MYOB Advanced ERP. Get started quickly. FusionWMS's small software footprint means you can be up and running more efficiently in a snap. 100% receiving accuracy. Get quick and accurate counts at the warehouse, store, or distribution centre whenever receiving items, with automatic handheld device verification of POs with any unit of measure, item barcodes, or UPC codes. Manage inventory label printing from handheld. FusionWMS automatically determines the item and quantity of needed labels. Zero room for error. Scan any item in the receiving area, and FusionWMS can determine and assign its correct bin. Minimise lost inventory. FusionWMS leverages MYOB Advanced bin management with licence plate grouping and barcode labeling to accurately track stock during moves, transfers, or shipping. Save time with handheld lookup and number assignment.Handheld device users can look up and find specific items anywhere in bin or warehouse, scan any bin and see a list of its contents, and even assign serial and lot numbers. It’s all updated automatically in MYOB Advanced. Enhanced Sales Order Pick. FusionWMS moves items to a shipping staging bin for shipment and adds multi-Sales Order Wave Picking to sort and group selected items by bin/item sequence. This allows the operator to make one pass through the warehouse, collecting items for multiple Sales Orders. Those items can then be sorted at the shipping station. Multiple shipping options. Use your choice of Manual Pick/Scan to Ship, Scan to Pick/Scan to Ship, Scan to Pick/Manual Ship, Enhanced Transfers, and courier Integration. Accurate counts, whenever, where-ever. Minimise lost items with Fusion’s Physical Count module, which allows you to quickly and accurately take physical counts across multiple warehouses, bins, and lots, any time of year. is the same as MYOB Advanced.